Camp Victory, Afghanistan depicts the stark reality of the US/NATO "exit strategy" from Afghanistan. Using nearly 300 hours of verité footage shot over several years, the film follows a battle-hardened Afghan General and the steady stream of U.S. National Guard soldiers deployed to train him and his army. 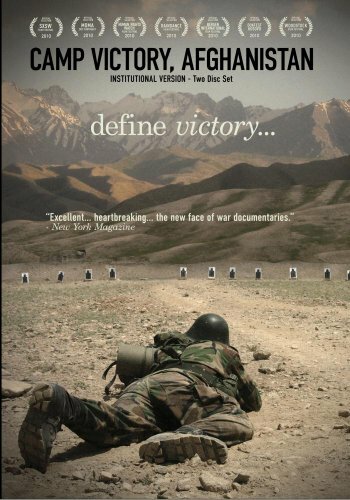 Thoughtfully filmed and carefully handled, Camp Victory, Afghanistan does not advocate or condemn, but painstakingly observes, making it perfect for the study of international engagement and capacity building. The Broadcast Version is appropriate for classroom use. If you have any questions about this product by BOLO Productions, LLC, contact us by completing and submitting the form below. If you are looking for a specif part number, please include it with your message.